Vehicle not cooling or heating properly? One of the luxuries of your automobile is the fact that it is climate controlled. You can stay warm in the winter and cool in the summer thanks to your car’s climate control system. You stay comfy and cozy inside without much thought about your car’s climate control system, but when problems arise, you want them fixed ASAP! Turn to Felix Auto and Tire to get your heater or air conditioner working again! We work on all makes and models, no matter what type of climate control system your car uses. Our technicians can diagnose the problem with our high-tech equipment, and then we’ll explain the repair process to you in as much detail as you like. Unlike the other guys, we welcome your questions and concerns! Once the issue has been discovered, there are numerous things we can do to get your climate control system working again. Some repairs can be done in minutes, while others require more time to get the job done right. Leaks in climate control systems are a common problem that we see at Felix Auto and Tire. We also deal with failed pressure valves, clogged lines, or damaged orifice tubes. These problems are all easy to repair once we know what’s causing your climate control system to malfunction. We recommend having your climate control system inspected twice a year. 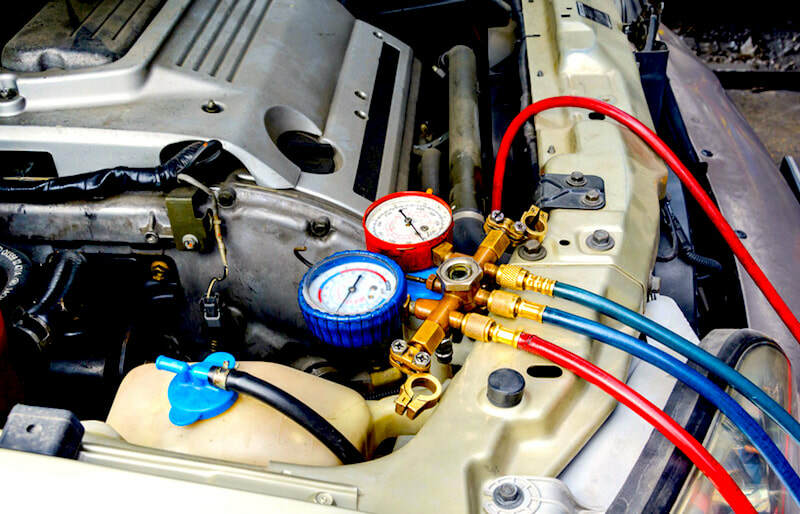 The optimal times are just before summer and then just before winter, since these are the times you’ll be using your heating and cooling system the most. Felix Auto and Tire will be happy to do these inspections for you and give your car a clean bill of health before you put its climate control system to the test! If your heater or air conditioner doesn’t seem to be working as well as it used to, let the experts at Felix Auto and Tire take a look at it today!